Season the fillets liberally with salt and pepper. 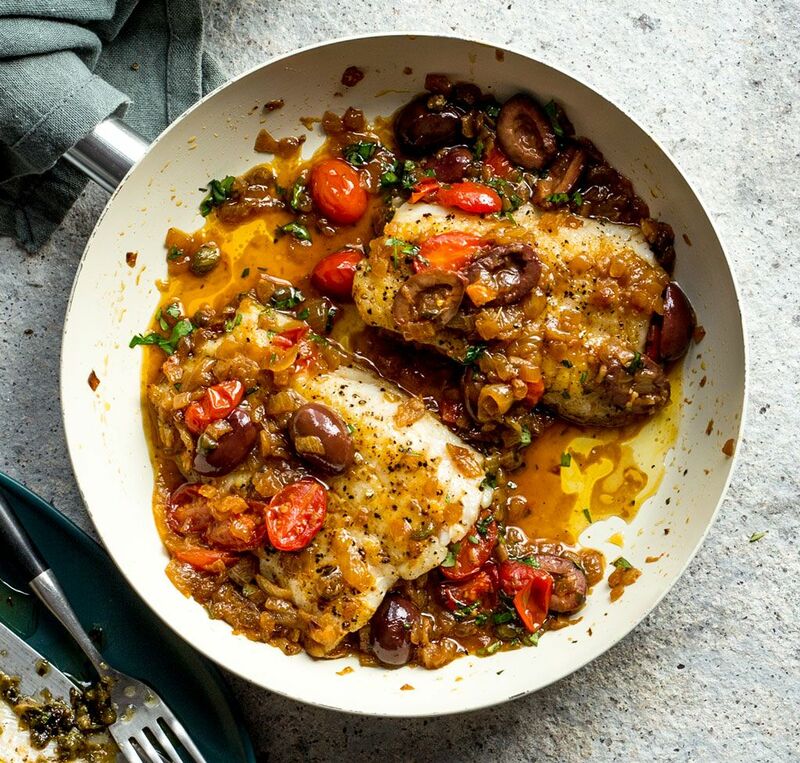 Heat half the olive oil in a large pan and add the fillets to cook for 4 minutes on each side, then set them aside. Add the remaining olive oil to the same pan and add the onion to sauté until it begins to caramelise, then add the add the garlic and keep stirring until it becomes fragrant. Add the wine and use your wooden spoon to scrape the bits free from the bottom of the pan. Once the wine has reduced by half, add the tomatoes, olives and capers and cook them until the wine has dried up. Now, stir in the chicken broth and let it reduce by half before checking the seasoning and mixing through the parsley and basil. Finally, add the fish back and keep spooning the sauce over it until the fish is warmed through.